It includes a powerful game-search based optimization engine allowing for customization of the game's various play strategies. 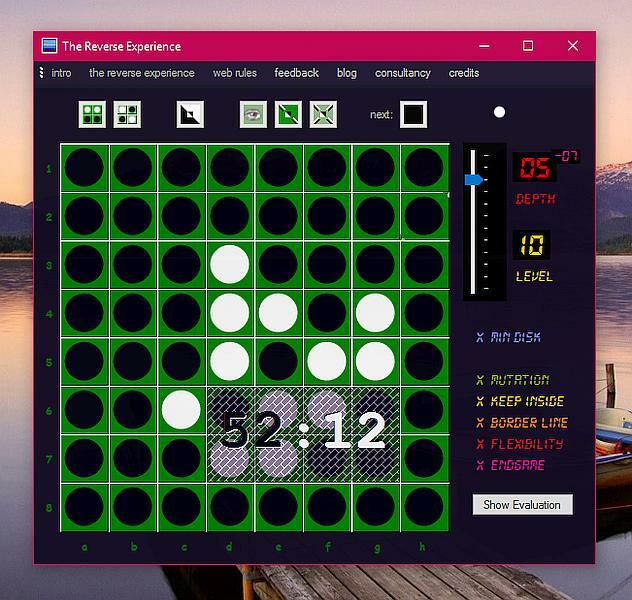 The special thing about The Reverse Experience is that the game will select from different strategy scenarios that it will play against you, depending on the level you choose. So game play will be different, each level. The game and its download are free for personal use under the terms of the license included with the program's installer. Recent Changes: v2018.01.18 - disc score display. v2018.01.01 - 2018 dna freeware license. v2017.08.30 - new TRX webpage. v2016.12.02 - win a level and be allowed next strategy. v2016.08.10 - winner's picture. loser's picture. v2016.01.01 - first release to celebrate the opening of Dynamic Applications. Free.